This is a VERY exciting week for us here at Lace Cosmetics. 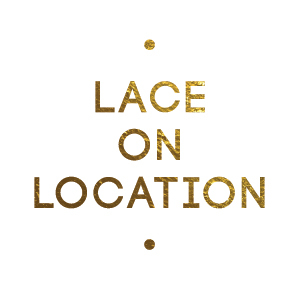 We have just launched a new branch of our brand called Lace On Location. Formally Amanda Ford Pro, I have had such huge demand for my services thanks to stellar reviews and five star ratings from past clients that I am expanding my work force. Because I have such a diverse clientele, all of the artists under the Lace On Location name are highly skilled in makeup application for clients of all age, ethnicity and skin type. Please take a moment to visit our new page LaceOnLocation.com. I hope you all had an amazing weekend. Mine was fantastic but it went by SO fast! Here is a little photo diary of the chaos. Over the weekend I had SEVERAL bridal trial runs. It was madness in my office between scheduling weddings, trial runs, face charts, contracts, deposits.... needless to say, a spread sheet was born. I worked in Demure Boutique where I sell Lace Cosmetics and met so many fabulous clients. I also did a little outfit scouting...and by that I mean I tried on every outfit in the store. Sunday I had a 6am call time for the Atlanta Hawks Cheerleaders photo shoot. 3 makeup artists and 28 cheerleaders. My brushes were on fire popping out one face after another. I had a blast though, met so many awesome and talented women and got to work once again in the W Hotel in Downtown Atlanta. After a crazy busy weekend, I came home and snuggled up with this lovely lady. We snoozed and rested up for the week to come. A common thing I hear from clients is "Can you come to my house and do my makeup every day?" Well, my friend Leah and I got to thinking. We could...or we could just teach you. We decided to join forces and start doing house parties. Women invite us over and for a very reasonable price, we show each woman how to apply their makeup. If you do not know what brand or colors to wear, we can help with that. If you have makeup at home and do not know how to apply it, we can help with that. Pretty simple, huh? Here are a few pictures from our party this past weekend. If you would like more information about having a party at your house, please contact us at amanda@lacecosmetics.com or leah@lacecosmetics.com. Hello and Happy Monday! I hope you had a fantastic weekend and thank you to all who made it out to Beauty Escape Make-Up Bar's Ultimate Girls Day Out! For those of you who did not get to be there, you will definitely have to catch the next one! This event was held at Kai Lin Art which is located in Atlanta's Buckhead area (adjacent to Buckhead Theater). We had a spectacular turn out and I was lucky to meet so many fabulous women. All of the attendees were able to explore and experience the wide range of vendors. Full face makeup application, reflexology, fat burning and massage therapy were a just a few of the services offered. Shopping? Oh yes. We had a traveling boutique, stunning jewelry, antiques, candles, desserts and so much more. I think the huge hit of the afternoon, though, was the plethora of free Skinny Girl Cocktails that were being mixed and passed out in the back of the gallery. We will make sure to keep you all updated on upcoming events so that you can come out and enjoy a pampering day with your girlfriends. Have a spectacular day and make sure to check out our products at LaceCosmetics.Com!